Evi Aki's new cookbook is "Flavors of Africa." 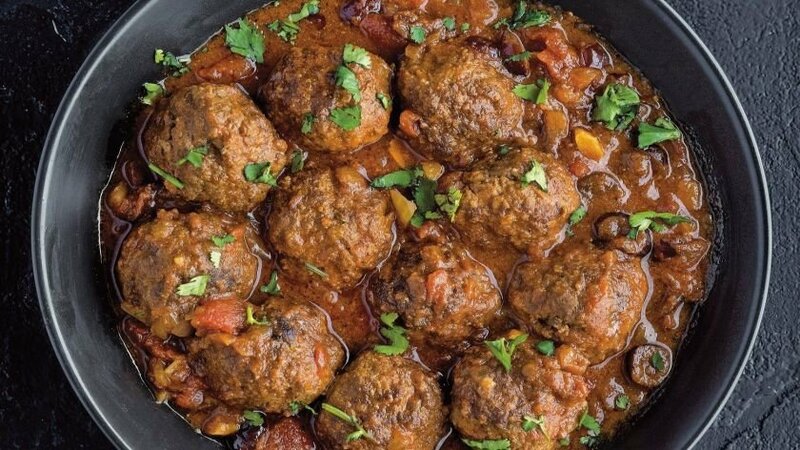 To make the meatballs, combine the ground beef, bread, egg, cumin, paprika, cinnamon, cardamom, coriander, salt and black pepper in a large bowl. Make sure the mixture is well combined, then roll the meat into golf ball-size balls. -- Reprinted with permission from “Flavors of Africa” by Evi Aki, Page Street Publishing Co.